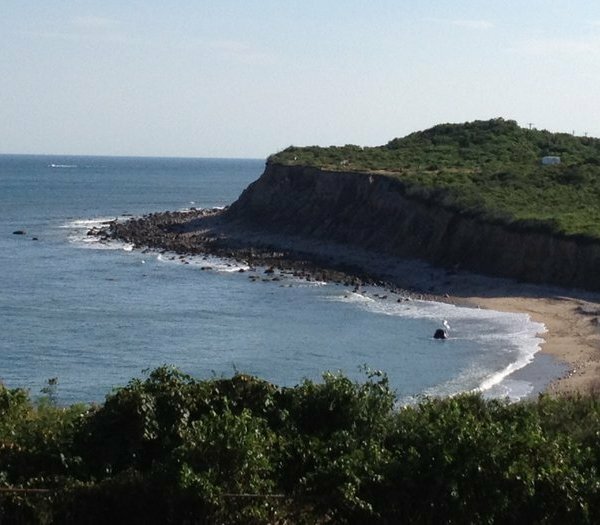 Investor Funds Diverted to Purchase ‘Panoramic View Resort & Residences in Montauk. Old Westbury, NY - May 12, 2014 - Earlier today, Adam J. Manson, 42, pleaded guilty to conspiracy to commit securities fraud for engaging in a $96 million Ponzi scheme with co-defendant and former investment fund manager Brian R. Callahan. Pursuant to his plea agreement with the government, Manson has agreed to forfeit all unsold units at the Panoramic View beachfront resort and residence development in Montauk, New York, valued in excess of $60 million, and an additional $3.9 million in criminal proceeds. When sentenced on October 3, 2014, Manson faces up to five years in prison and the payment of approximately $96 million in restitution to the victims of his fraud. Callahan pleaded guilty on April 29, 2014, to one count of securities fraud and one count of wire fraud and faces up to 40 years in prison when sentenced on August 8, 2014. The guilty pleas were announced by Loretta E. Lynch, United States Attorney for the Eastern District of New York; George Venizelos, Assistant Director in Charge, Federal Bureau of Investigation, New York Field Office (FBI); and Shantelle P. Kitchen, Acting Special Agent in Charge, United States Internal Revenue Service-Criminal Investigation, New York (IRS). “Adam Manson assisted his brother-in-law Brian Callahan in orchestrating one of the largest Ponzi schemes in Long Island history by lying to independent auditors and lending institutions. Today’s guilty plea, together with Callahan’s guilty plea approximately two weeks ago, demonstrates this office’s dedication and commitment to aggressively pursue those who seek to defraud the investing public through lies and deceit. We hope that the guilty pleas provide some measure of relief and closure to the defrauded investors,” stated United States Attorney Lynch. Ms. Lynch expressed her grateful appreciation to the FBI, the IRS, Securities and Exchange Commission, and the British Virgin Islands Financial Investigation Agency for their cooperation and assistance in the investigation and prosecution of this case. According to court filings and facts presented at the plea hearing, between December 2006 and February 2012, co-defendant Callahan raised more than $118 million from at least 40 investors in connection with four different investment funds that he managed. Callahan had assured those investors that their money would be invested in mutual funds, hedge funds, and other securities. Instead of investing the money as he promised, Callahan misappropriated approximately $96 million and began to operate the investment funds as a large-scale Ponzi scheme. Among other things, Callahan diverted millions of dollars towards the Panoramic View, an unprofitable 117-unit beachfront resort and residence development in Montauk, New York, that he owned with Manson. In furtherance of the scheme, Manson assisted Callahan in deceiving the independent auditors of the Callahan funds by submitting bogus promissory notes that overvalued the assets of the funds and by lying about the debts owed by the Panoramic View. Today’s guilty plea took place before United States Magistrate Judge A. Kathleen Tomlinson. The government’s case is being prosecuted by Assistant United States Attorneys Christopher C. Caffarone, Winston M. Paes, Brian D. Morris, and Karin K. Orenstein. Today’s announcement is part of efforts underway by President Obama’s Financial Fraud Enforcement Task Force (FFETF), which was created in November 2009 to wage an aggressive, coordinated, and proactive effort to investigate and prosecute financial crimes. With more than 20 federal agencies, 94 U.S. attorneys’ offices, and state and local partners, it is the broadest coalition of law enforcement, investigatory, and regulatory agencies ever assembled to combat fraud. Since its formation, the task force has made great strides in facilitating increased investigation and prosecution of financial crimes; enhancing coordination and cooperation among federal, state, and local authorities; addressing discrimination in the lending and financial markets; and conducting outreach to the public, victims, financial institutions, and other organizations. Over the past three fiscal years, the Justice Department has filed more than 10,000 financial fraud cases against nearly 15,000 defendants including more than 2,900 mortgage fraud defendants. For more information on the task force, visit www.stopfraud.gov. Subject: LongIsland.com - Your Name sent you Article details of "Long Island Real Estate Manager Pleads Guilty in $96 Million Ponzi Scheme"